GENUINE 1983 COLECOVISION THRESHOLD CARTRIDGE by SIERRA "THRESH HOLD" RARE! ColecoVision Threshold Game Cartridge - RARE - NICE LABEL! 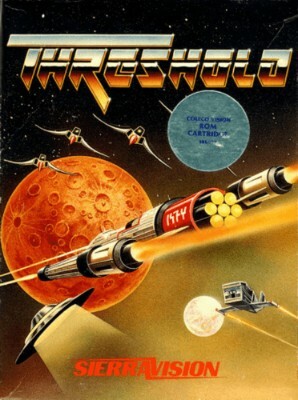 Threshold by Sierra On-Line (ColecoVision 1983) Rare, Minty Cartridge! Free S&H!